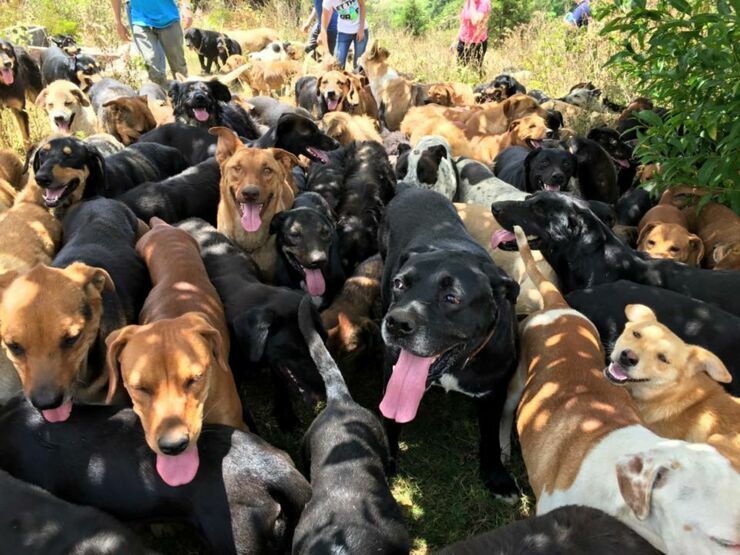 There is a place spoken of in dog legend, a land of abundance where the sun constantly shines and there's acres of land to run around, sniff, and explore. 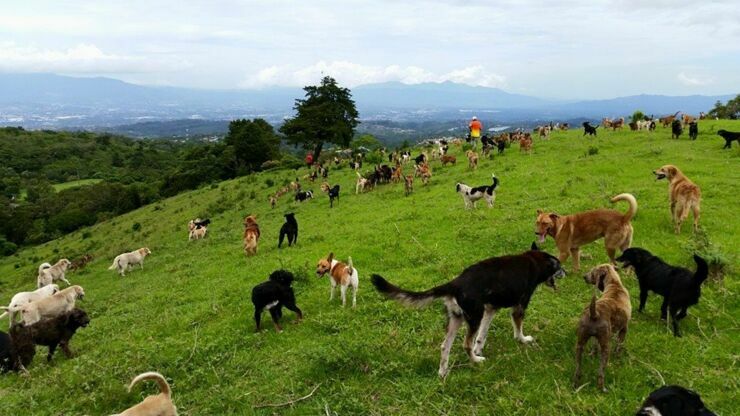 It's a place known as Territorio de Zaguates in Costa Rica and it's home to hundreds of stray dogs. 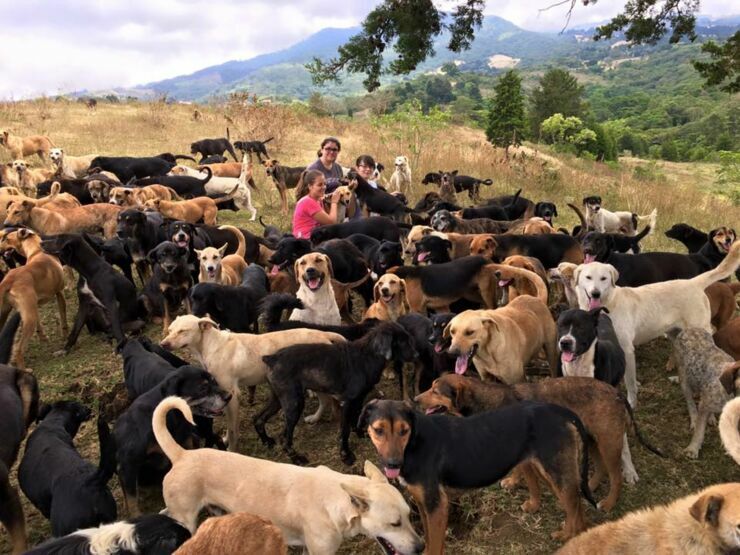 Translated as 'Land of the Strays' it's a non-profit, volunteer run, privately-funded shelter set in the green and pleasant Costa Rican landscape. 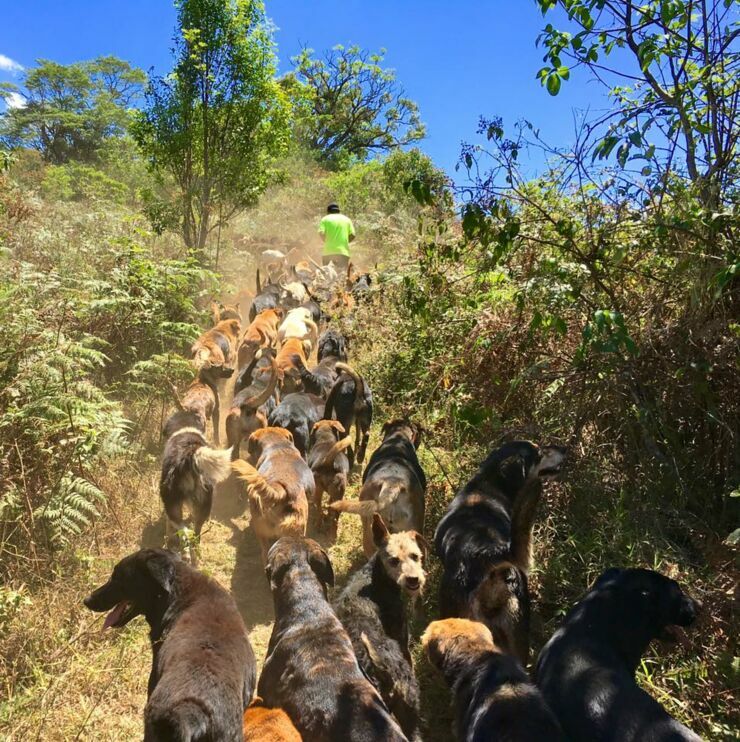 The dogs get to run free in the sunshine but also have access to facilities with housing that has beds, feed and washing stations. Fresh flowing water stocks up the troughs located across the huge private property to make sure the dogs are well-hydrated. 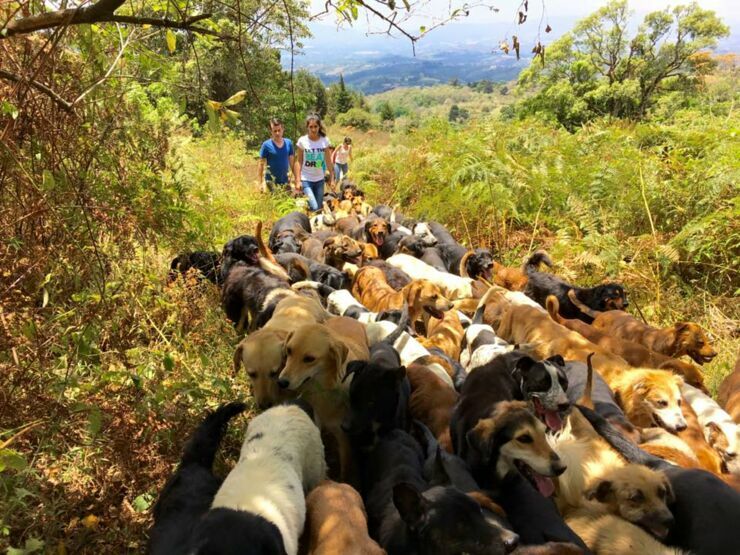 All the dogs in the no-kill rescue center, which number around 900, are up for adoption and the public is encouraged to come along and visit. 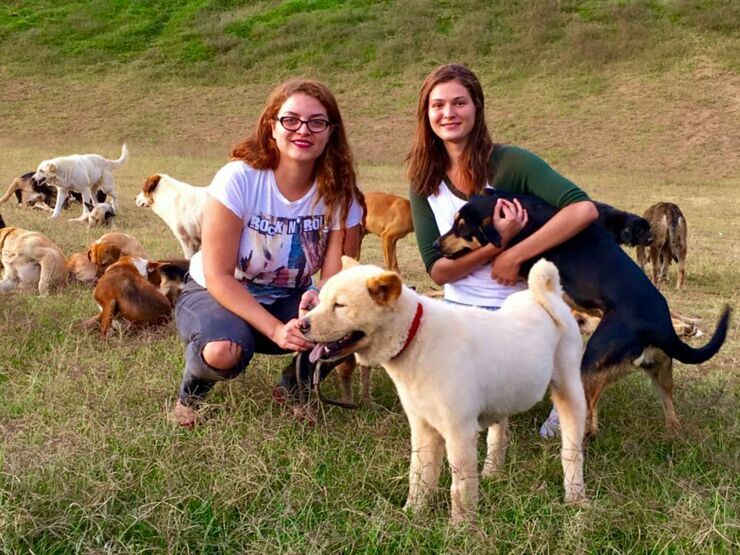 Anyone can hike up to the shelter, cuddle and play with the animals whether you're adopting one or not. 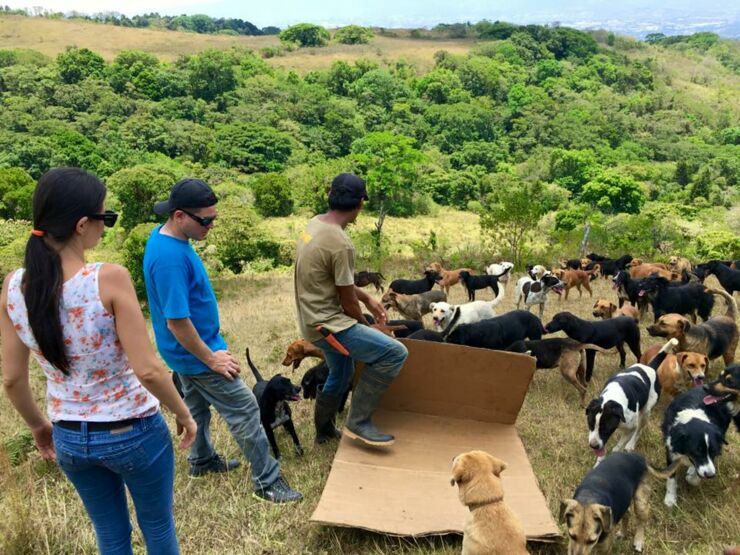 Along with being a place where these unwanted animals can run free, the shelter also tries to destigmatize the mixed breed dogs that make up its population. 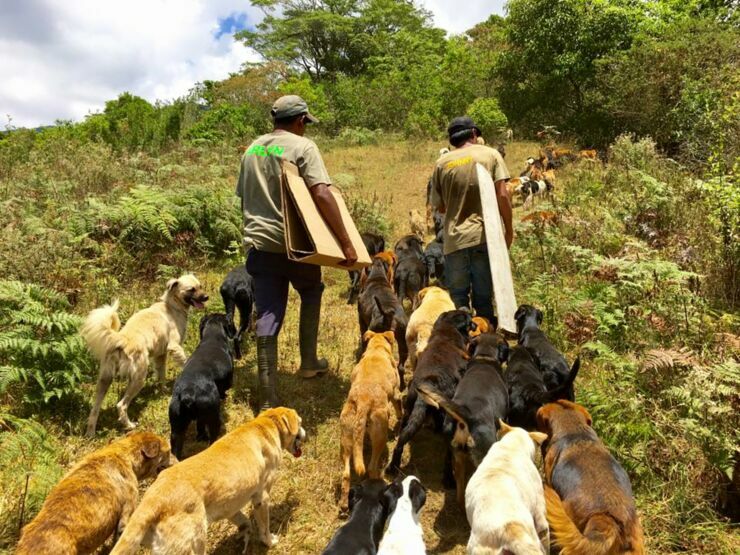 Pure bred dogs are often favoured so the shelter aims to readdress that balance by naming new "breeds" based on the homeless dogs' ancestry and traits. So you can adopt an Alaskan Collie Fluffyterrier, a Chubby-Tailed Dobernauzer, or a Fire-Tailed Border Cocker. 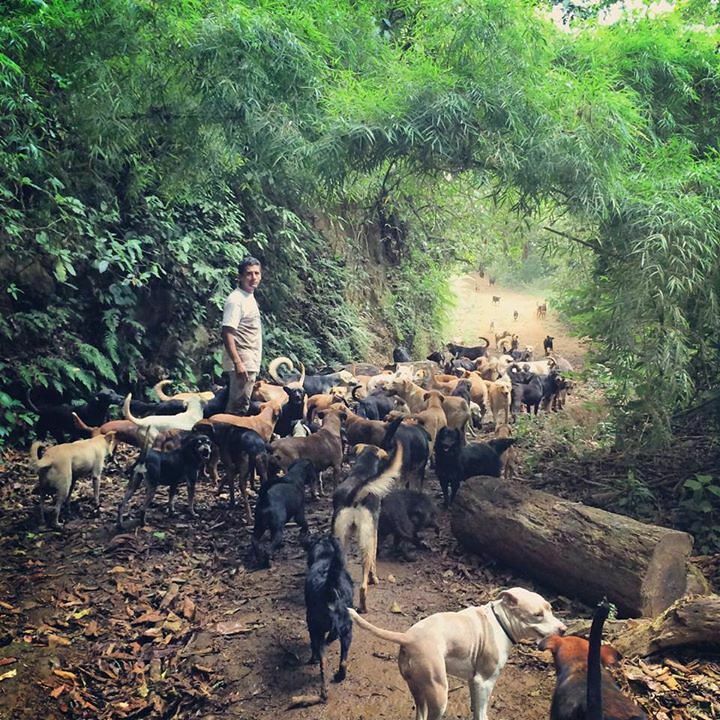 "I would often come across dogs on the way home. 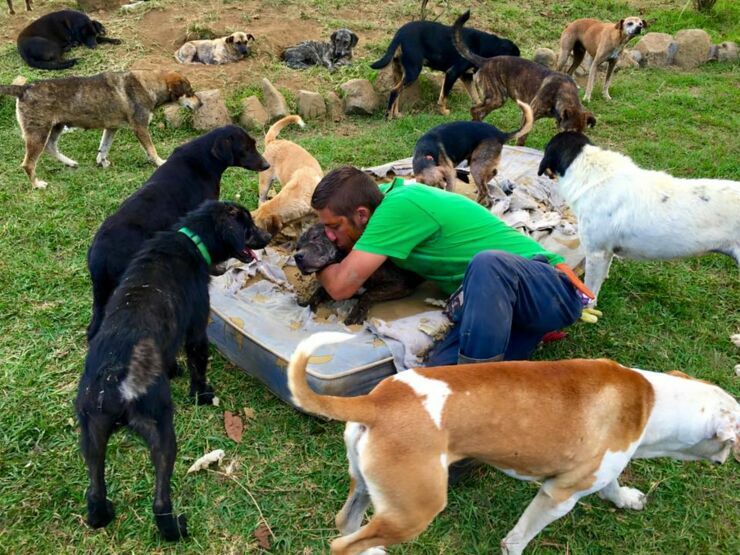 Those that looked in need of help I would take home for as long as it took to nurse back to health, sterilise and find families for." 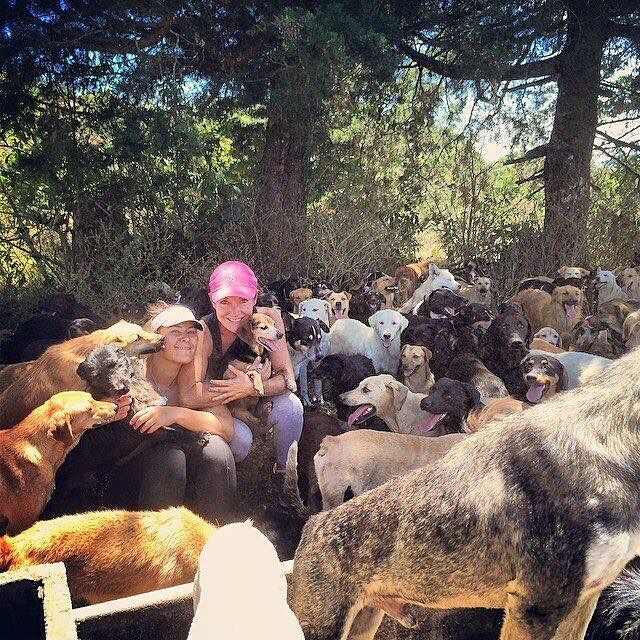 explains founder Lya Battle on why she set up the shelter. 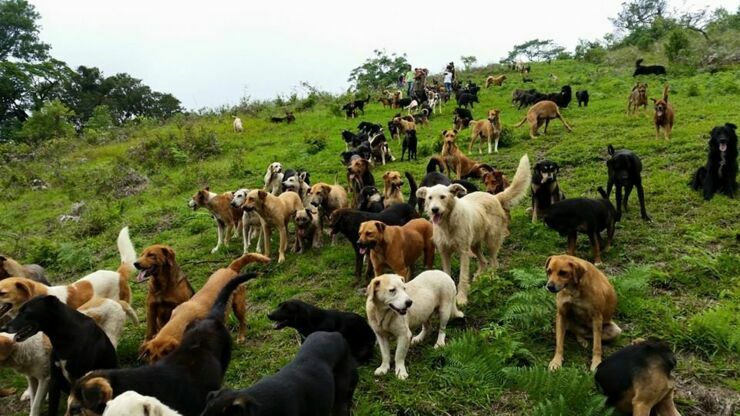 "Many were lucky but many adorable dogs were overlooked and turned down because they simply lacked desirable qualities. Too big, too old, too energetic, too lazy, missing a limb, missing an eye. 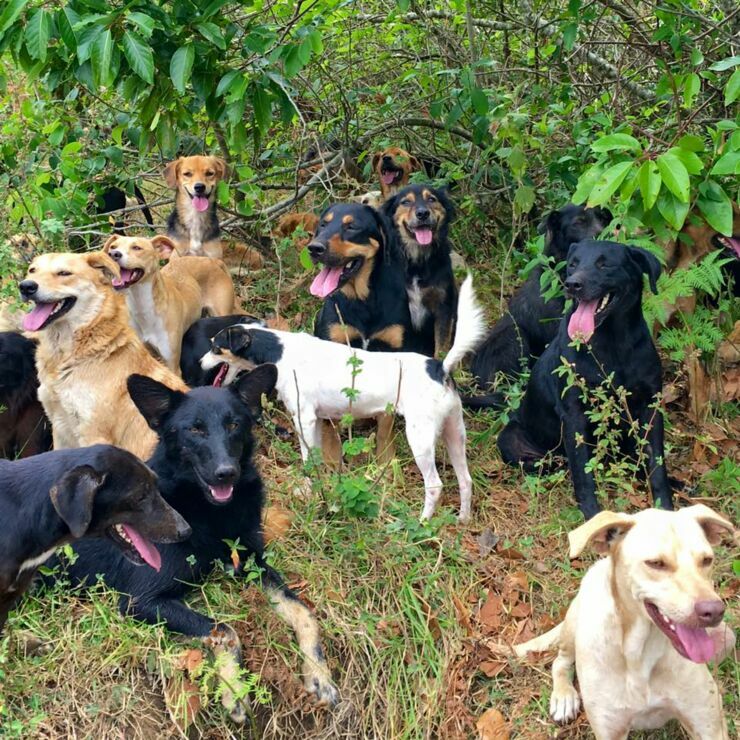 I realised then and there that these wonderful animals had few chances in this world." 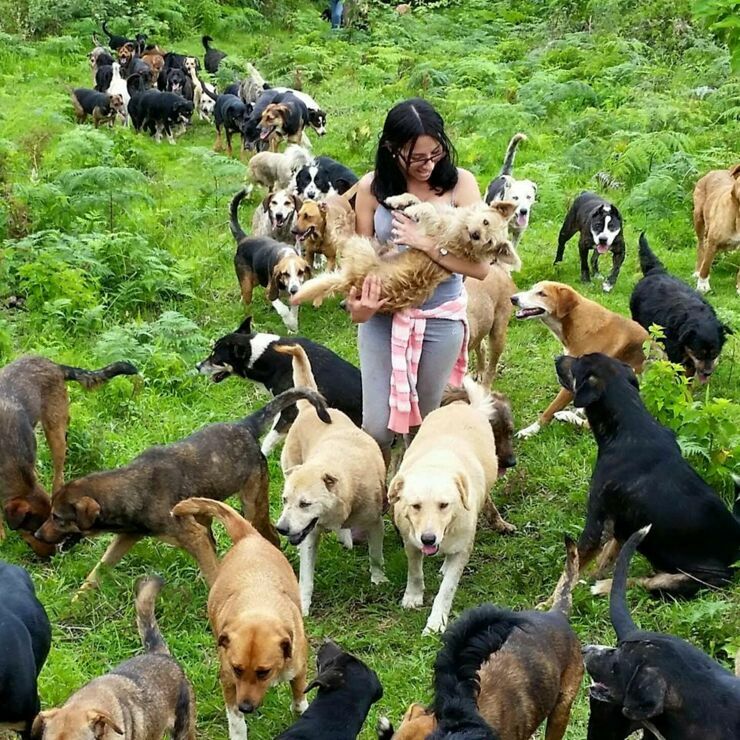 It's basically a piece of earthly heaven for not only stray dogs but dog lovers too. Especially dog lovers of crazily-named new breeds.